Bzz! 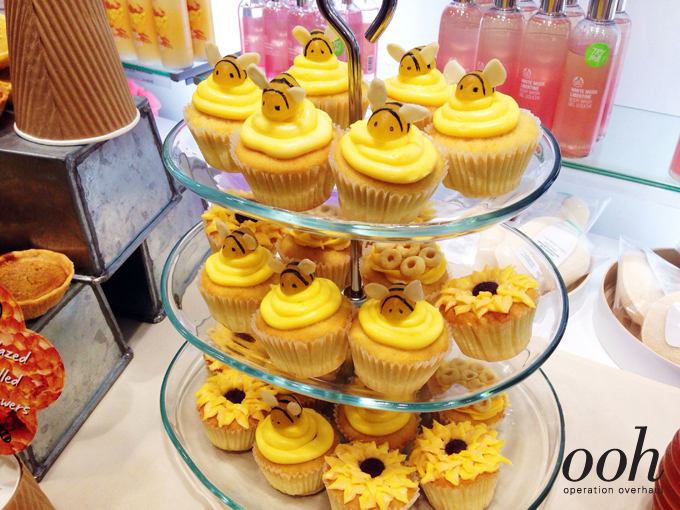 It’s Honeymania at The Body Shop! Bzzzz! Operation Overhaul is glad to be working with yet another company who is appreciative of craft and handmade items! 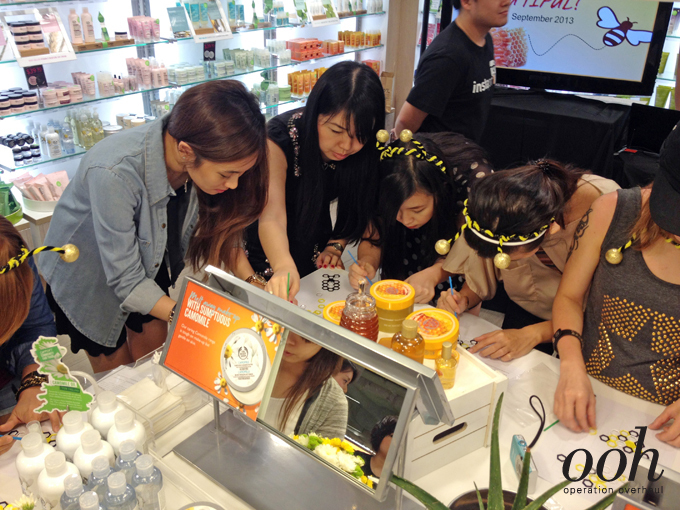 The Body Shop recently approached us to come up with an accessory that we could share during a workshop and was in line with their new Honeymania range. Sure, the usual flower crowns and chiffon flower pins came to mind, but eventually we decided on these individually laser cut acrylic pieces that allowed for customisation – every one could rearrange the pieces to create their very own unique necklace. 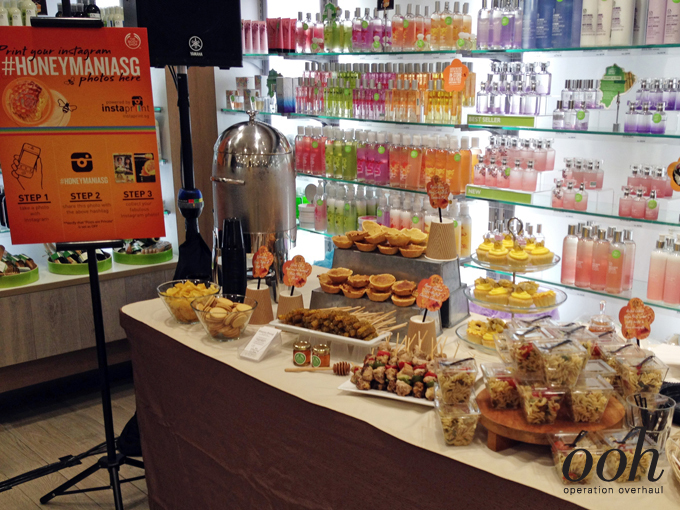 We were especially happy to see the many variations during the launch event at The Body Shop that day! 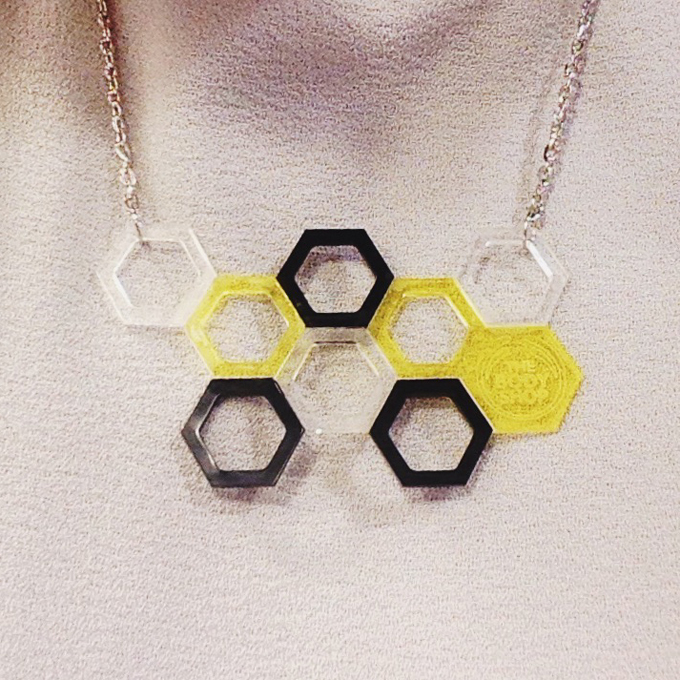 This is our take on the honeycomb combination necklace! A little peek behind the scenes: The laser cutting process. 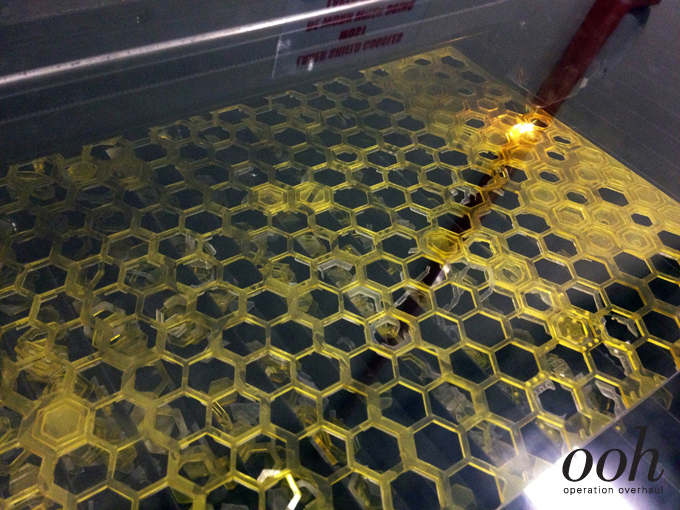 We probably cut about 1000 pieces of the individual honeycombs! 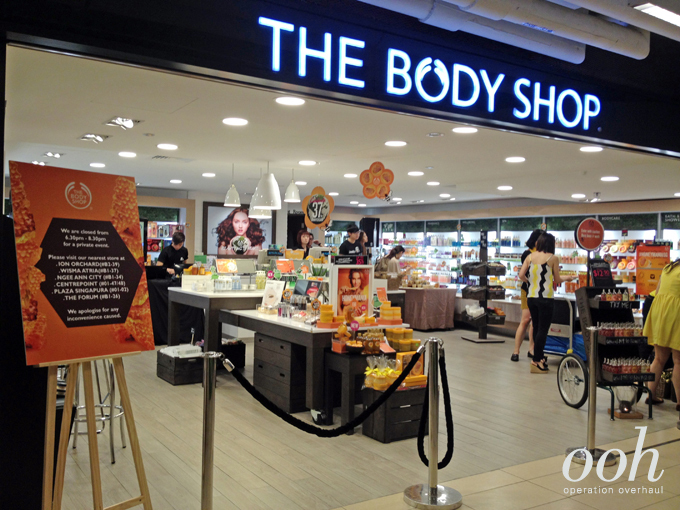 The Honeymania launch was held at The Body Shop at Paragon. The spread. All the items were yellow and went with the theme! Ros & I with the new range, also decked out in yellow and black! Apart from getting makeovers, printing super cute customised hashtagged instagram photos on a card and tucking into the feast, the invited bloggers were also each given a diy kit with all the materials needed to make the honeycomb necklace. The bloggers working on their necklace designs. And the glueing begins! After piecing them together, all they had to do was to attach each honeycomb together using acrylic glue and add the chain! We got too carried away to snap any of the bloggers with their creations but we’re so glad everyone came up with something unique and individual! We snapped this one of Zahri because he caught our attention while hard at work, putting this necklace together for his wife! He spent a long time just designing the honeycombs to incorporate her initials in it! How sweet! 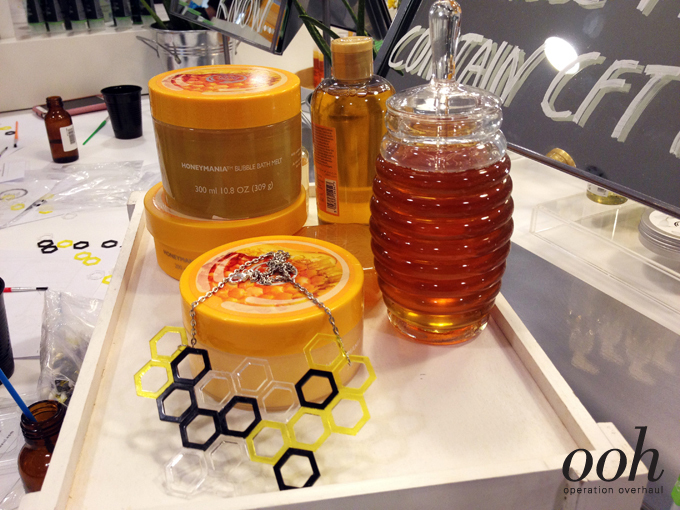 A final one of some of the Honeymania products as well as one of the customised honeycomb necklaces! Both Ros and I were really happy working on this collaboration and the team from The Body Shop and Touch Comms were just such a joy to work with! 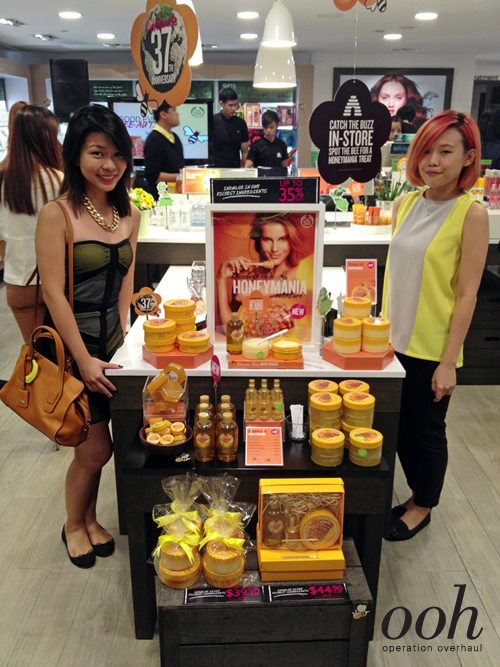 Do check out the Honeymania range, now available in all the local The Body Shop stores! Operation Overhaul is going to Public Garden!